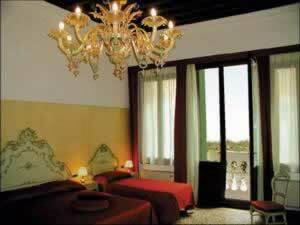 It is possible to contact Locanda Ca' San Marcuola reception desk by phone, fax or CHECK AVAILABILITY. 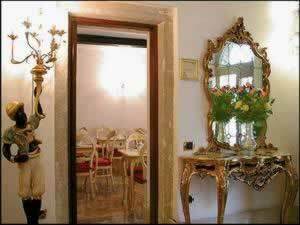 The warmth and the homely welcome, guarantee our guests a paceful and lovely stay in a refined and elegant Hotel Locanda Ca' San Marcuola, which is provided with all the modern comforts and air-conditioning units in each room. Completely restored, Ca’ San Marcuola offers you spacious and graceful rooms, which amalgamate soft pastel tints and the rich but sober elegance of the traditional Venice Style. Each room is provided with air-conditioner, TV, telephone, minibar and a small safe which let you appreciate the enjoyment for the tradition and the comfort of modern life. Take ACTV motorboat Nr. 1 and get off at S. Marcuola stop. You must continue along the calle (Venitian streets) - the hotel is on your right. 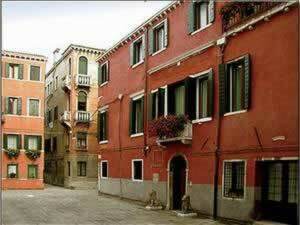 * from the "Marco Polo" Ariprot of Venice: Take a Bus N° 5 toward Piazzale Roma. Take a Bus ATVO toward Piazzale Roma. (then follow the above indications for car/train). Travellers who viewed Locanda Cà San Marcuola also browsed.